Low cost single board computer in a tiny form factor. Highly customizable feature-set enables price / performance optimization. 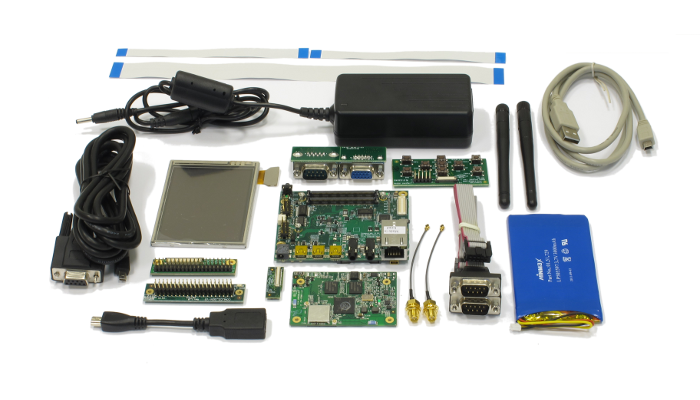 Ready-to-run platform with a broad range of standard interfaces. Single Board Computer implemented by the combination of a CM-X300 module and a SB-X300 baseboard. Power supply options: rechargeable battery and charger connector, or 5VDC power supply. 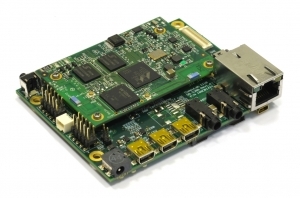 The SBC-X300 is a small single board computer based on the PXA300 CPU architecture. It is implemented by a CM-X300 module providing most of the functions, including integrated Bluetooth and wireless LAN (WiFi) interfaces. The SB-X300 carrier board providing connectors and several additional functions. The rich feature set of the SBC-X300 is customizable according to the price / performance targets of the user's application. The SBC-X300 contains an electrical interface and slot for MMC/SDIO extension cards, which may be inserted and secured in the slot with no additional mechanical means, extending the system with capabilities such as a larger solid state disk, GPS or GSM modem. Power supply options of the SBC-X300 enable its integration in mobile applications powered by a rechargeable battery. Charger and battery management support is provided on-board. SB-X300 doesn't have assembling options. The "CM Option" column specifies the P/N code of CM-X300 required to have the particular feature..
Supply Voltage High efficiency switched power supply. Support of sleep mode. For previous versions of the CM-X300 software packages, please refer to the CM-X300 software archive. Note: The SB-X300 base-board must contain a CM-X300 module for the implementation of a self-contained SBC. Options specified on this page refer to the SB-X300 only.